Ted. 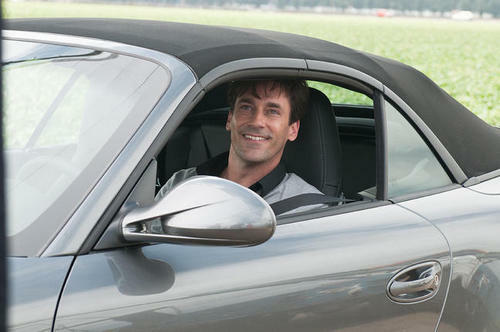 Jon Hamm as Ted in Bridesmaids. Wallpaper and background images in the Bridesmaids club tagged: bridesmaids movie stills 2011 jon hamm ted. This Bridesmaids photo contains ऑटोमोबाइल, कार, ऑटो, एसयूवी, and ट्रक. There might also be पालकी, सैलून, सेडान, हैचबैक, हैचबैक दरवाजे, हैचबैक दरवाजा, and हैचबैक.